Willow Hill Automotive has a team of trained Audi automotive technicians in Southold, NY, 11971. 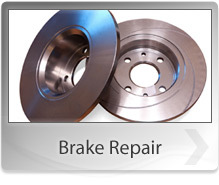 They are ready and able to handle any problem you and your Audi may experience. Our technicians regularly keep up on the latest news about Audi and know what the Audi brand is all about. Understated luxury is nice, but every once in a while, a repair or two is needed. Typical Audi problems include burning excess oil, ignition issues and electrical gremlins that can creep up in older models. But those issues are nothing to worry about when you bring your vehicle to Willow Hill Automotive. We here at Willow Hill Automotive understand how important your Audi is to your daily life. Our automotive service technicians are waiting to assist you in any way possible to not only guarantee your Audi is repaired, but it is done so with minimal hassle. Our friendly and knowledgeable staff at Willow Hill Automotive offer affordable Audi repairs. If your Audi is in need of repair, be sure to call us at 631-765-4906 to schedule an appointment, or just stop by.